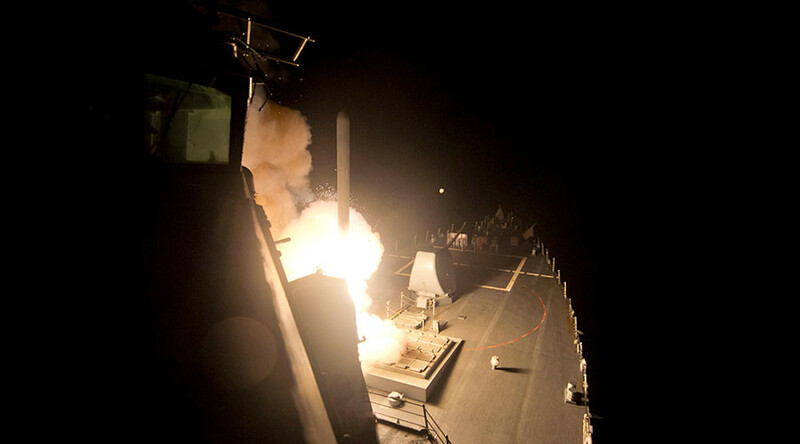 Some 50 US Tomahawk cruise missiles have been allegedly launched at a Syrian military airfield near the western city of Homs, NBC and Reuters reported, citing US military officials. US ships stationed in the Mediterranean Sea reportedly launched the strike on Syria’s Shayrat airbase on Thursday night local time. NBC News reported that there was no word on casualties and that no people were allegedly targeted. Russian forces were reportedly warned ahead of time.